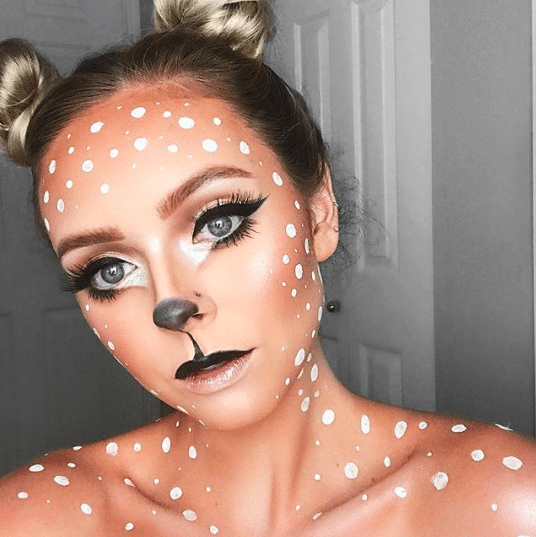 As Halloween approaches, you might be considering how to use makeup to take your costume to the next level. While there are plenty of awesome options out there, the idea of having to buy a set of expensive product to accomplish your desired looks can be seriously off-putting. To help you achieve an unique Halloween look without breaking your budget, we’ve compiled some of our favorite Halloween makeup ideas–all of which can be achieved with products that you probably already own. 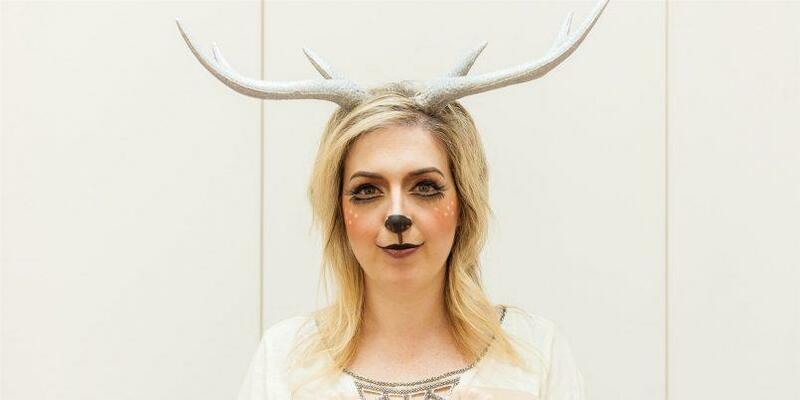 This deer makeup look from Today.com is easy to put together, and seriously whimsical. All you’ll need is mascara, eyeliner, blush and a neutral eyeshadow palette that includes shades of brown, beige, and white. You use several coats of mascara (false lashes optional) to get big, doe eyes; the eyeliner to define your eyes and fill in the tip of your nose, and the eyeshadow to create cute speckles along your cheekbones. We recommend pairing this makeup look with a neutral-toned outfit, and some cut-out antlers! You can use this witch makeup tutorial from Modcloth’s blog as inspiration for a super low-maintenance look. While the makeup artist in the tutorial has used a full palette of green eyeshadow shades, you could simplify the look by using one or two shades of green, combined with gold, silver, or gray. The dramatic eyeliner and bright red lipstick complete the look! We’re in love with the metallic scales effect on this post from Bustle. All you need is a pair of fishnet stockings (or you could make a stencil by cutting some scale shapes out of a piece of wax paper) and one or several shades of metallic eyeshadow. Hold your stencil against the side of your face, from your cheekbones up to your temples. Dab the eyeshadow on over the stencil, and then remove it. Follow up with colorful eyeshadow and plenty of mascara. 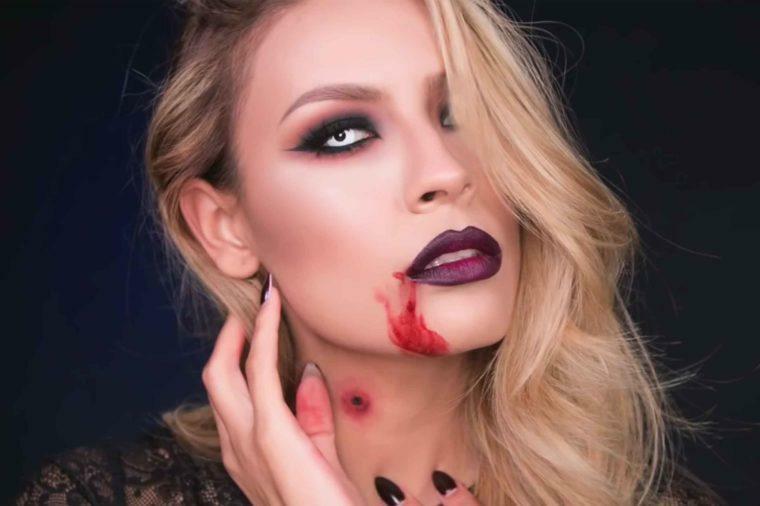 It’s hard to go wrong with the simple vampire makeup idea on this post from Reader’s Digest. All you need is a black-and-white eyeshadow palette (to create a dramatic smokey eye), dark red lipstick (and optional, dark lip liner), and some contouring makeup to exaggerate your cheekbones. 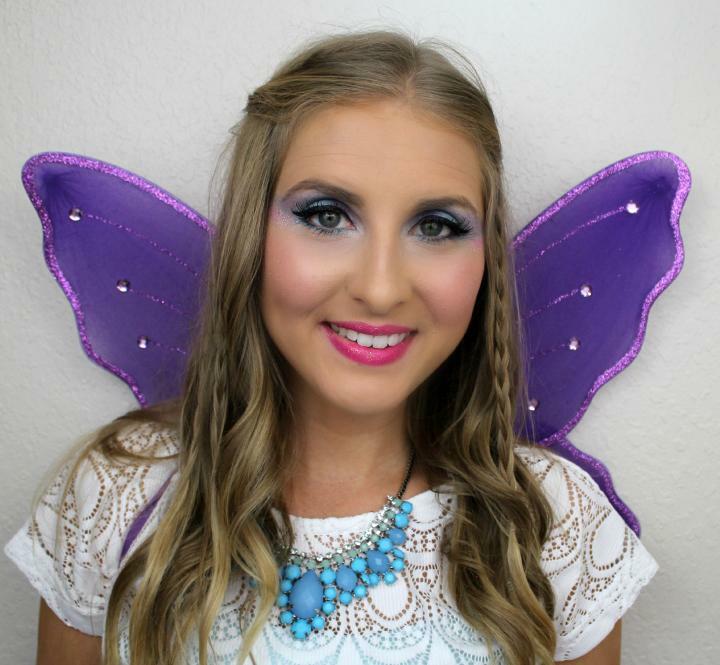 For a more colorful look, try using Ashley Brook Nicholas’ fairy makeup tutorial as inspiration for a pretty, pastel-tone look. Though the tutorial involves different shades of pink and blue eyeshadow, you could simplify the look by reducing the number of shades. The important elements are the pastel eyeshadow, bright pink lips, and eye-enhancing eyeliner and mascara. 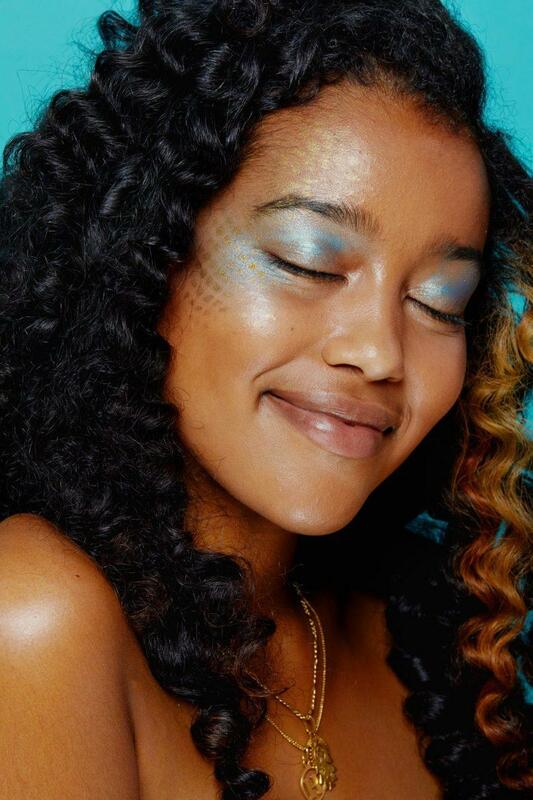 We recommend pairing this makeup look with a summery fairy braid. 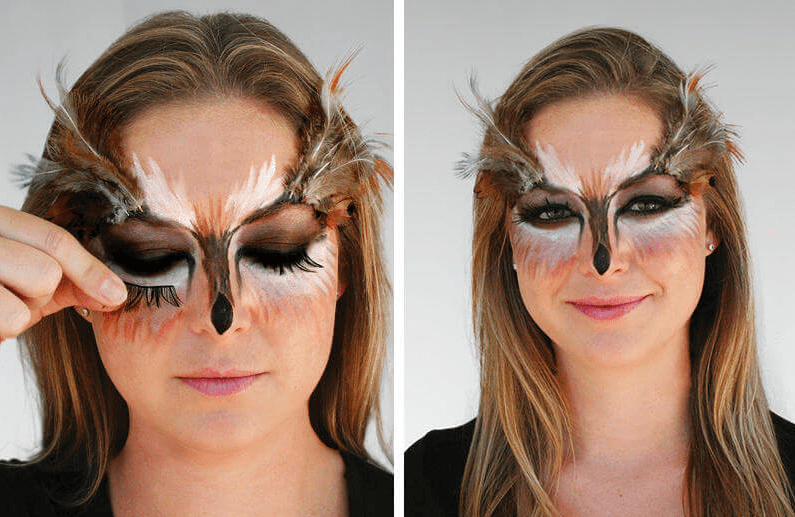 If you’re feeling the woodland creature vibe this Halloween, you could try a simplified version of the Modcloth blog’s owl makeup tutorial. While the tutorial calls for feathers, false lashes, and two different shades of cream makeup, you could accomplish a more low-maintenance version using several coats of mascara, and a neutral eyeshadow palette (cream eyeshadow would work especially well).